At Good Hope Animal Hospital, our mission has always been about caring for our clients’ pets like they were our own. From routine check-ups and preventative care to careful diagnoses of issues and diseases, we work diligently to care for our four-legged friends. And we take extra steps along the way to ensure their comfort. Like providing warm, soft beds for recovery after surgery. Why? Because the little things matter. It’s what we want for our own pets. Our love for animals is also why we get involved in the community and volunteer our time and energy to animal-related causes. We team up with incredible organizations like CPAA (Central PA Animal Alliance), PAWS, Furry Friends Network, and others. We help by administering microchips, vaccines, and even spay and neuter clinics. In addition, we regularly help these organizations care for the animals they rescue. We also care about our two-legged clients. We take the time to talk with you about your pet’s health, answer your questions, and ensure that you know what you need to know to keep your pet healthy and happy. When your pet needs help beyond routine vaccinations and check-ups, we carefully explain all available options and let you choose the course of action that is right for you and your pet. At Good Hope Animal Hospital, we endeavor to be more than just a typical vet clinic. We love our patients, value our clients, and strive for excellence in all we do. Because at the end of the day, we measure our success not by how many awards we’ve won or the number of patients we’ve served, but by how well we’ve served our friends. Good Hope Animal Hospital was originally opened by Dr. Curtis Barnett in 1987. Dr. Robert Heidecker began working for Dr. Barnett as a kennel technician during the summers of 1987 & 1988. After completing college, he returned to Good Hope in 1996 to work full time as a Doctor of Veterinary Medicine. 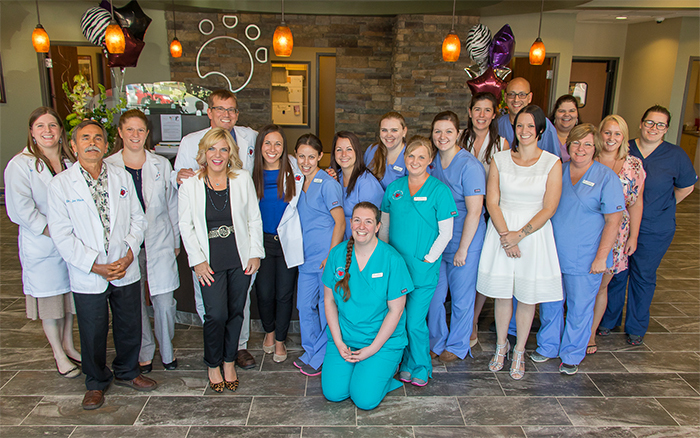 In 2004, Dr. Heidecker became a partner, and, as of January 2010, he and his wife, Jennifer, took over sole ownership of Good Hope Animal Hospital.